With the popularity and high demand of the open source files that can be 3-D printed, DYE LAB customers can now order both the BWing21 and JC Sycthe DSR trigger shapes in aluminum! Both triggers are a limited run and available for a limited time exclusively through DYE LAB. The BWing21 DSR trigger was designed by Senior Development Manager, Billy Wing, for his personal DSR. 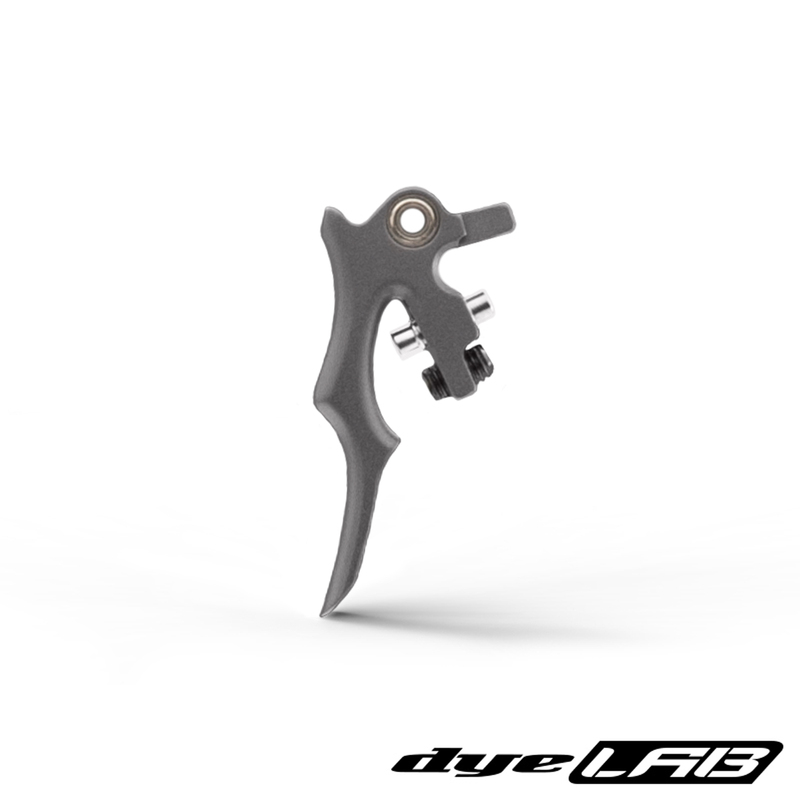 This design promotes a lower perch on the trigger creating greater leverage. The raised mid-point and tip of the trigger blade offer positive contact points for increased trigger feedback against your fingertips. DYE is still proud to offer the DSR trigger concepts as open source files for FREE download in an effort to find out what design offers the best performance for you, the player. These aluminum and 3-D printed trigger designs are drop in replacements for the stock DSR trigger. The free download designs have additional support struts to prevent flex or bend so the trigger files are ready for 3-D printing in either PLA or ABS. STEP and STL files are supplied when downloaded. Weiterführende Links zu "BWING21 DSR ALUMINUM TRIGGER"
Kundenbewertungen für "BWING21 DSR ALUMINUM TRIGGER"